L. Frank Baum set out to write a fairy tale for children that was specifically American, not European. His work became popular immediately and the characters, tropes and phrases that he created remain recognizable to most Americans today, even if they have not read the book. Munchkins, the Tin Man, Scarecrow, and the Yellow Brick Road continue to form part of our common cultural vocabulary. 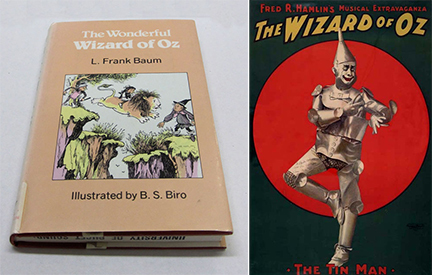 To learn more about this great book and author, visit the Library of Congress exhibit on Oz.